It is not uncommon today to see a zippy little Nissan Leaf or a stately Tesla Model X silently waiting for the light to turn green next to you at an intersection. Believe it or not, some 21 different automakers now have some form of EV for sale in the U.S. And they have big plans--think SUVs--to raise the EV stakes over the next few years, beginning with a raft of new models slated for release in 2019. Fans of electric vehicles (EVs) can't wait for Volkswagen's prototype I.D. 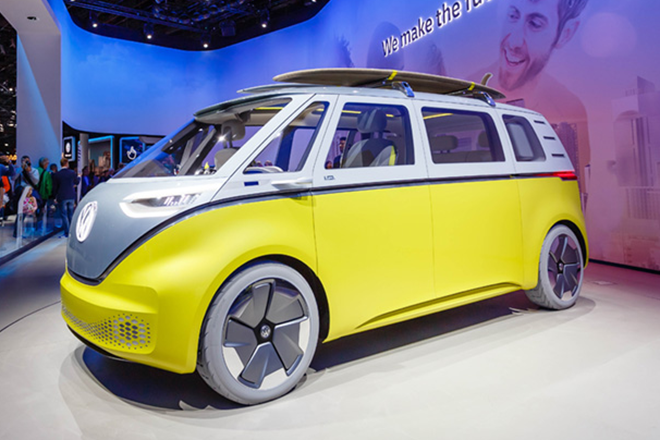 Buzz — an all-electric revamp on the iconic VW bus — to become a production model within the next couple of years. Credit: Marco Verch, FlickrCC. Perhaps the biggest new player on the EV scene is Audi. The German company's new e-tron Quattro SUV can drive for roughly 250 miles between charges and features a styling equivalent to Audi's luxe gasoline cars. It will be unveiled later in the fall, and American consumers can expect to shell out some $80,000 for a new one. A smaller model, the e-tron Sportback, will ride on the same platform--and get a similar range rating--but will sport a zippier ride and a lower price tag (around $50,000). On the cuter end of the spectrum, BMW will make an all-electric version of its iconic revamp of the Mini Cooper-- the "Mini E"--in 2019. The car will get upwards of 200 miles per charge, and with a price tag around $36,000 will compete directly against the Tesla 3 for customers looking to spend on the lower end for an EV. 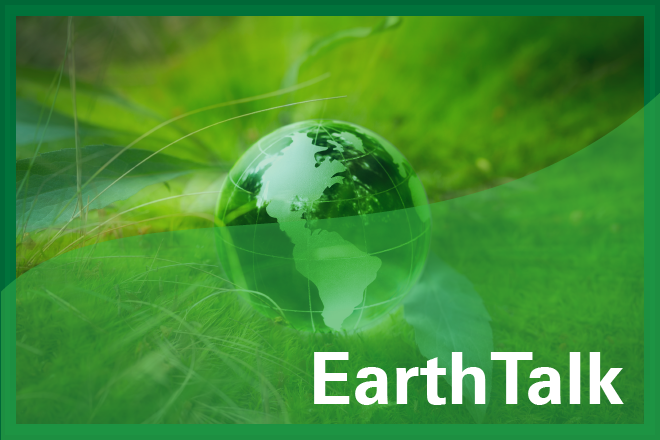 EarthTalk – is the U.S. doing enough to re-grow forests? EarthTalk – Where do the Democratic presidential contenders stand on climate change?